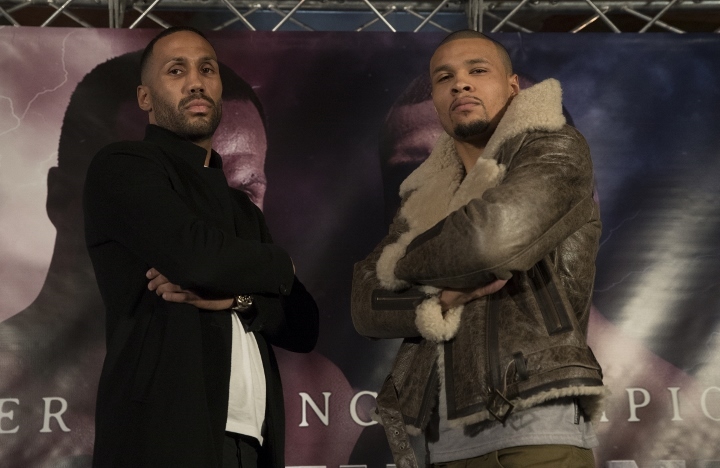 James DeGale believes the loser of his grudge match with Chris Eubank Jnr will have no choice but to retire. The long-term rivals will finally fight on February 23 at London’s 02 Arena, when they will be under pressure to revive careers undermined partly by Callum Smith’s recent success. Smith became the WBA super-middleweight champion when convincingly stopping George Groves in September, and while DeGale held the IBF title until July when he chose to vacate it, he demonstrated signs of decline over the course of two difficult fights with the unremarkable Caleb Truax. DeGale, 32, has made little secret of his desire to use victory to pursue a rematch with Groves, who last February handed Eubank Jnr the most convincing and damaging defeat of his career. But Eubank’s ambitions have been demonstrated by the appointment of Nate Vasquez as his new trainer and dismissal that retirement is an option. It was the lack of a recognised trainer that contributed to Eubank Jnr losing so heavily to Groves – should a further defeat follow he will struggle to pursue further lucrative fights – and with DeGale also similarly short of high-level options, the latter said: “I’m calling this the retirement fight. “Whoever loses this can knock it on the head, it’s game over. He’s got heart and a big set of balls but that’s not going to be enough to beat me. It was immediately after the loss to Groves that Naseem Hamed said Eubank Jnr should consider retirement, but working with Las Vegas’ Vasquez – of the Mayweather camp – has given him renewed optimism against a former sparring partner, and the 29-year-old said: “James talks retirement, but that has never even come into my mind. “I hope he can bring the best he can bring on the night and give the fans the most exciting and explosive fight that we possibly can. I just don’t think he has what it takes. Next month’s fight also represents the first brought to the UK by American Al Haymon, boxing’s secretive and most influential figure, via his Premier Boxing Champions outfit.